Let’s Talk About Olive Oil! is a course designed by Eftychios Androulakis and Chloe Dimitriadis, a collaboration between two hands-on and passionate producers, aimed to talk about all aspects of olive oil quality, especially elements that can be often overlooked by mainstream international standards. In this course, you will learn about how quality and taste is affected by variety, cultivation, harvest, production method, and packaging. This is a discussion for those who love the world of quality food and those interested in learning about what to look for in olive oil beyond just “Extra Virgin”. 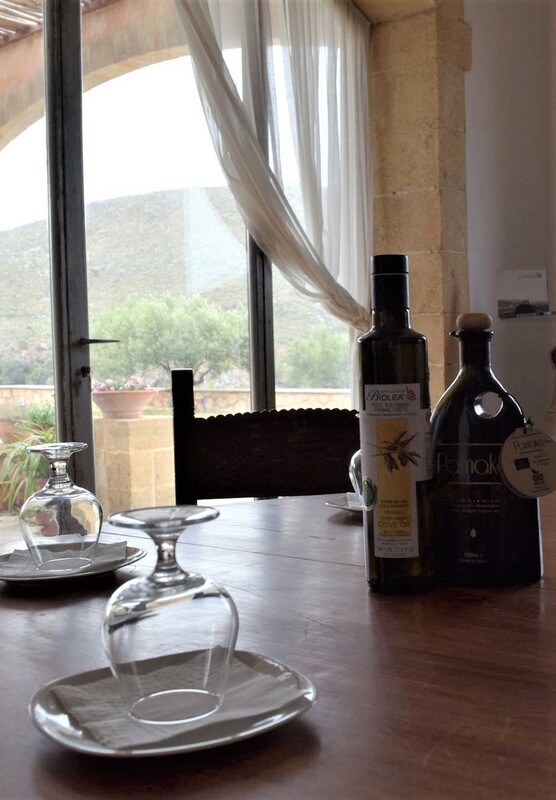 The course includes a kerasma of local wine and traditional Cretan appetizers and all participants will receive an analytical booklet of the course material. To book a spot in one of our scheduled courses please write to us through our contact form or contact us directly at least two days in advance. Kindly note that this course is unsuitable for young children.